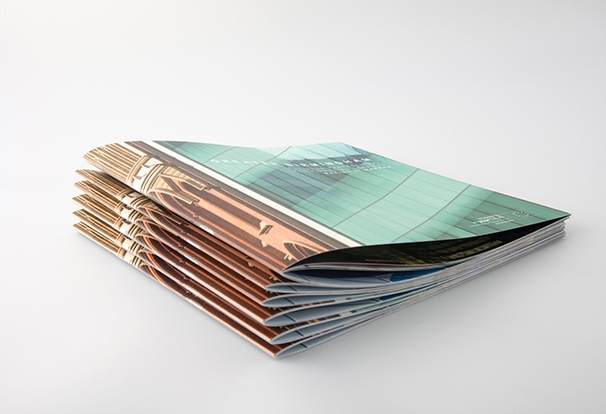 For printed items with pages like brochures, programmes, booklets, newsletters, proposals and direct mailers, saddle stitching or wire binding is a good choice. Saddle stitching works well on thinner books and wire binding on thicker books. They are both reasonable methods of binding pages together, saddle stitching being the quickest and most reasonable of the two. While stitching is generally done with two silver coloured wires, wire binding tends to have a more easily available set of colours. Common colours for the wires are silver, black, white, blue, green, red and several metallics. 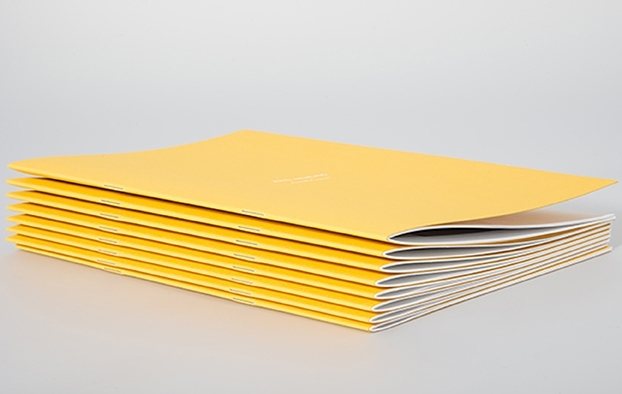 As well as wire binding a plastic spiral (spiral binding) is also available that with the correct amount of time can be produced in the pantone colour of your choice. We can also loop stitch items to go into ring binders if necessary. When you see staples along the spine the item will have been saddle stitched. Stitching basically means stapling – the name comes from the fact that the sheets are hung over a stand that looks like a saddle when they are stapled together. Once the pages have been folded correctly and nestled together they are stapled. Saddle stitching doesn’t have to use wire staples – you can saddle stitch with coloured staples (wires) and thread as well, better known as thread sewn. 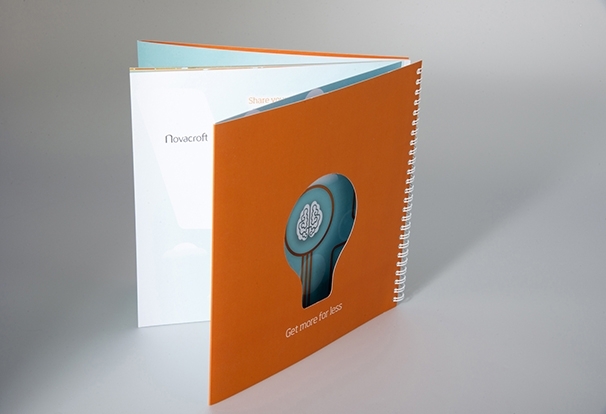 distort as the pages are too bulky to fold properly, this will also depend on the thickness of paper used. It’s always good to remember that the total number of pages needs to be divisible by 4 for the book to make up correctly though. What Size Of Booklets Can You Stitch? A6 to A4 up to 5mm thick, but we can do special sizes if necessary or suggest alternative solutions. binding and the technique is simple. Simply punch holes in the page where the wire will go through, line up the pages, insert the wire cylinder and close with a manual binding machine. Take a look at the video at the bottom of this page, to see the method in action. There are a few different styles of wire binding and we can do them all including Half & Full Canadian, Cased in and Easel and Calendar. What Different Sizes Of Wire Bounds Can You Offer? Wire binds are available in three different punching formats dependant on the finished books thickness. Sizes are indicated by the amount of holes to an inch. We can do 3:1, 2:1 and 4:1. 4:1 tends to be reserved for spiral bound documents. Spirals are similar to wires but instead of a formed wire, a continuous coil of plastic is used. Wires and spirals are available in various different colours, so you can get similar matches to your corporate colours or design.